Many Chinese carmakers have announced plans to start exporting to the United States, but none of them has managed to crack the lucrative retail market. Kandi Technologies Group Inc. may become the first. The Nasdaq-listed company, which started making electric cars in 2013, plans to ship two of its models to the United States this year, Chairman and CEO Hu Xiaoming said Jan. 16. Sales will start after the company clears regulatory procedures, which have been held up by the federal government shutdown, Hu said. While other Chinese automakers such as BYD Co., Guangzhou Automobile Group Co. and Great Wall Motor Co. have been training their sights on the United States for a while, the worsening trade ties and a full-blown tariff war between the two biggest economies have scuppered those ambitions. Success in the U.S. market, where emission and crash standards are more stringent, generally would be seen as a testimony to their competitiveness. Kandi, which currently makes cars through an equally held venture with Zhejiang Geely Holding Group Co., plans to offer Americans the two-seater K22 mini EV and the EX3 SUV. Hu said the K22 will be priced at less than $20,000 in the United States. He didn’t provide pricing for the EX3, which can go for as much as $14,000 in China. 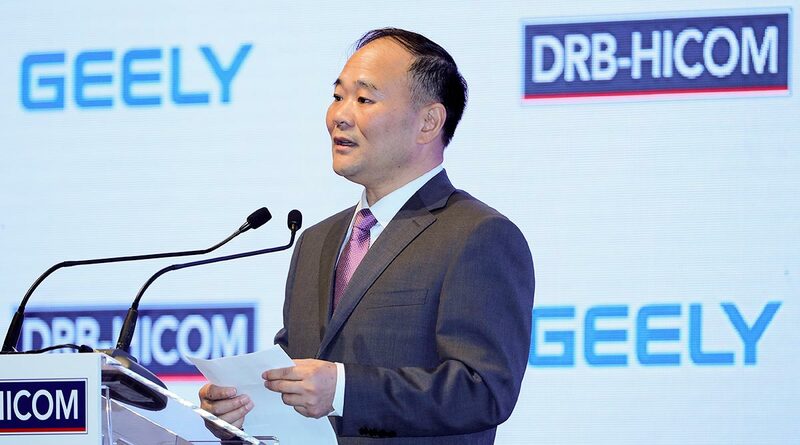 Geely is controlled by billionaire Li Shufu, who also owns Volvo Car Group and is the biggest investor in Daimler AG. Kandi is building a factory in Jiangsu province after winning a government permit Jan. 8. The plant will have an annual production capacity of 50,000 units that may be expanded in the future, according to Hu. After acquiring Texas-based Sportsman Country in June last year, Kandi has been working with the distributor to sell the two models to American motorists, Hu said. The automaker has earmarked production capacity of 2,000 to 5,000 units this year for the exports, he said. The company, based in the eastern city of Jinhua in Zhejiang province, also is working with other Chinese firms on forming an online car-hailing service alliance that may grow into a government-accredited fleet of 300,000 in five years, Hu said. Global automakers are seeking a foothold in the transport services that are changing the way consumers use vehicles by expanding into car-sharing. Geely and Daimler agreed last year to start ride-hailing and car-sharing services in China via an equally held venture. Kandi plans to turn itself into an operator of such services from a pure carmaker, Hu said. BYD, backed by billionaire Warren Buffett, has sold some cars in the United States but only to fleet operators and not individual buyers.